Frederick George b.10th June 1905 and died 1980. Married Myra Rosalie nee Hoare in 1931. Hilda Mary Annie b.1909 and died 1981. Married Harold Dimmock. By the time of the 1901 census Frank, along with his siblings, was living with their parents at 81 Paynes Road, Freemantle, Southampton. Charles was employed as a Commission Agent. On the 1911 census Frank is found in his parent’s household at 95 Waterloo Road, Freemantle. Charles’ occupation was Prudential Agent (Assurance) whilst Mabel was employed by a Newspaper Officer as a Junior Clerk. Education and Employment: Frank was born in 1899 in Southampton. He won an educational Committee Scholarship to attend Taunton’s School. Frank passed the University of London School examination with Distinction in Oral French, mental Arithmetic and History. Life during the war: Frank attended school for the first two years of the war. He had participated in the Taunton’s exchange to Soissons, Aisne in 1911. Frank enlisted in Camberwell, Surrey, and served as a Private with the 6th Battalion of the Somerset Light Infantry. He was captured and held as a prisoner of war, and later died of weakness and dysentery at Stendal in Germany. He was buried in Annois Communal cemetery in Aisne, France. 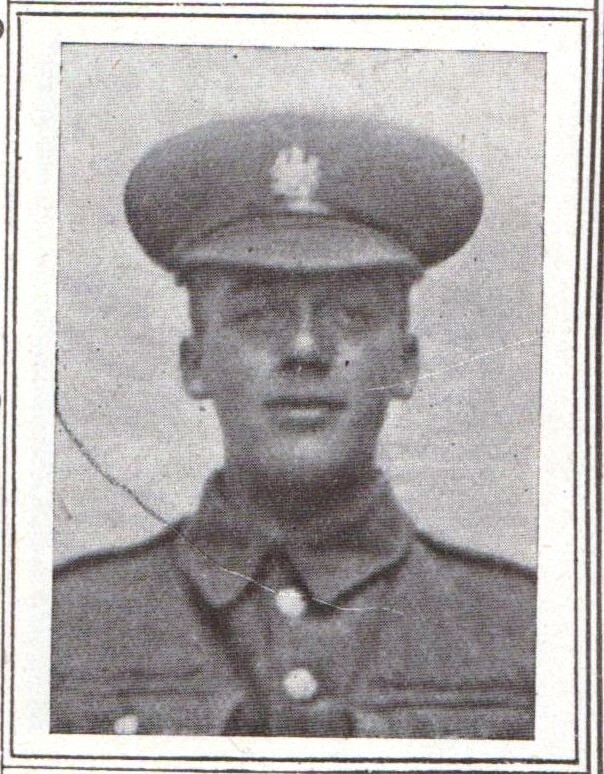 Frank died on 15th May 1918 aged 19 years. On an unknown date, Frank enlisted into the British Army at Camberwell, Surrey, joining the Somerset Light Infantry, regimental number 29457, rank Private and serving with the 6th Battalion. Personal Effects – As his next of kin, father Charles received his son’s credits which were owed him plus a War Gratuity of £6, the total payment was £11 6s 3d and paid out on 29th August 1919. Note: on the CWGC website, Frank’s initials are shown as F. N. But all relevant details are correct. The CWGC web site notes that in May and June 1918 a German Field Hospital for prisoners was at the neighbouring village of Flavy-le-Martel and soldiers from the United Kingdom who died in the hospital were buried in Annois Communal Cemetery. Three individuals were brought to court for “mistreatment and abuse” and were found guilty at Leipzig. One of these individuals was Emil Muller, the camp commandant of Flavy-le-Martel, who was sentenced to six months for personal acts of violence against captives. Frank’s sacrifice is also recorded on the Southampton Cenotaph and the modern Memorial Wall in Watts Park, Southampton. For his service to his country, Frank was entitled to the British War and Victory Medals.